Why become a Blue Cross contributor? Hi! 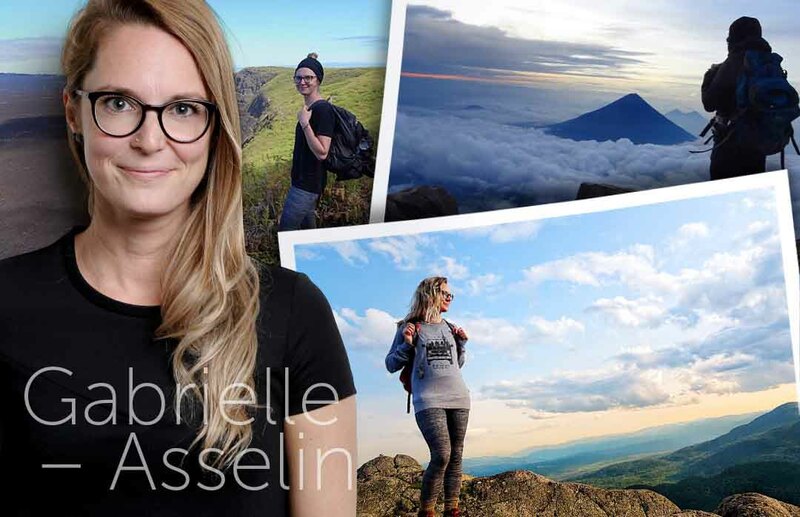 I’m Gabrielle Asselin, a practicing travel health nurse who is also a travel blogger and passionate globetrotter. I suppose what made me a savvy world traveller and astute travel health nurse are my nine years of clinical travel health practice combined with my fifteen years of avid wayfaring. My approach, both personally and for my patients, is to encourage travel that allows for discovery and exploration while maintaining safe health habits. I’m very happy about this new adventure with Blue Cross. It’s a completely natural fit because Blue Cross and I are aligned on more than a few things. We both want our clients to get the most out of their dream vacations while keeping healthy, and we are both committed to promoting healthy practices whether at home or while travelling. Why I believe travel insurance is essential. When people come to my travel health clinic, I always take time to see if they’ve considered travel insurance. As a nurse trained in travel health, I’m keenly aware of the risks of not being covered while you’re travelling. As an experienced traveller, I’ve had to call on travel assistance to help me out more than a few times and those occasions have taught me just how important it is to be covered whenever you travel. On the 28th of June, 2016, I was in Bishkek, in Kyrgyzstan, where I had just spent three weeks hiking and exploring the local nomad culture. On my last day of the trip, I awoke thinking I’d catch my return flight with a layover in Istanbul. But I quickly learned that there had been a terrorist attack at Atatürk airport, where several people had been killed and injured, and that the airport was now closed. Had the attack taken place just a few hours later, I would have found myself there, so at the time, while I was safe, I was still shaken up. My first instinct was to call my travel assistance to find out what I should do. There aren’t a ton of departures from Kyrgyzstan, but they helped me find a flight that didn’t go through Istanbul and that didn’t require an additional traveller’s visa for another country for a stopover. They underlined that my safety came first. In the end, everything turned out ok and, despite some anxious moments, I got home without mishap. Bed bugs are my worst travel nightmare. For most people, while annoying, they’re relatively benign. For me, however, they inevitably induce a localized allergic reaction with swelling, redness and burning pain. Despite my nurse’s training and being very well-informed, bed bugs are exceedingly difficult to detect. Even when I’ve done a thorough inspection and haven’t seen any sign of bed bugs, I’ve been bitten. The resulting allergic reactions have landed me in hospital three times while travelling. I’ve also had to visit a health practitioner for the very same reason when I was in New Zealand, on the Fiji Islands, and even in York Beach, Maine. Events such as these are always unpleasant and they cut into my precious vacation time, but at least with my travel insurance I received the help to manage it all and continue on my way. I’m passionate about travel health and so I’m delighted to share my knowledge with my patients, on my personal blog and, now, with you on the Blue Cross website starting in 2019.